Latest upgrade version will be serviced for 30 months. The troubled Windows 10 version 1809 update is now ready for broad deployment, Microsoft has confirmed. The update which was first released in October last year, had to be pulled soon after because of a bug causing some users to lose files. After fixing the issue which caused a lot of frustration to people (some lost 10 years’ worth of data), Microsoft started re-rolling the update, albeit tentatively. Now, almost six months later, the update is deemed ready for broad deployment. In a blog post, the company said the Windows 10 release information page will now reflect the semi-annual channel (SAC) for this version, and will ‘continue to communicate’ for future releases, the transition from targeted to broad deployment. This version will be serviced for 30 months, starting November 13 last year, it was added. As of Windows 10 1903, the SAC-T (Semi-Annual Channel Targeted) will be discontinued, as previously announced by the company. Microsoft reiterated that it wants to align the way it talks about Windows 10 and Office 365 servicing. The next version, 1903, seems to be roughly a month away, according to ZDNet. 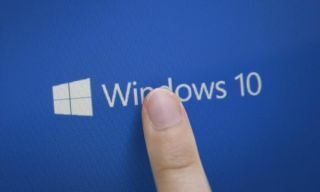 “If Microsoft sticks to its Windows 10 feature rollout pace, the company could begin rolling 1903 (aka, the April 2019 update) to mainstream consumer customers in April, 2019,” it said.